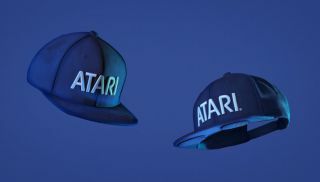 Atari launches a hat that's also a speaker - it's Speakerhat | What Hi-Fi? There are some interesting ways to get wearable speakers (anyone remember the cat ear headphones?) but Atari, the video game company, knows where the future really lies. It's a hat. A hat with speakers in. Called, naturally, Speakerhat. The hat has "high-fidelity stereo speakers and microphone that can connect instantly to any Bluetooth-enabled device." So rather than listen to headphones as you go about your day-to-day activities, you can have music blasted into your face. Or multiple people's faces - Atari's "Social Synchronous Broadcast technology" lets multiple Speakerhat users simultaneously listen to the same song. But you can't buy a Speakerhat to find out - right now, you can only sign up for a chance to be a beta tester. 10 will be chosen. The reason for this new innovation? It's part of a limited edition tie-in to Blade Runner 2049. The Speakerhat is a a joint project between Atari, Audioware and collectibles manufacturer NECA. The practicality of the hat, however, raises a number of questions: if you take a call on your phone while it's playing to the hat, won't your phone call be heard by everyone? Why are the speakers in front of your face when your ears are on the side? And is this really what 2049 will look like?